"Warning" is the wrong word - There's nothing wrong with this book. In fact, I would recommend it to anyone who wants to get a basic idea about the politics and culture of Greek society before the Persian Wars, before Athens and Sparta became the Americans and the Soviets of the Ancient World and drowned out all the other voices. 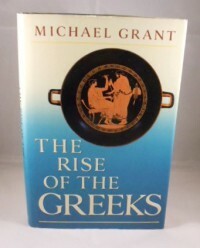 Michael Grant is brilliant at clearly elucidating ancient history for the general reader and I would always recommend him as a launching point for further exploration. In fact, this book has turned out to be more interesting than I could have hoped as it fills in a largely empty spot in my knowledge of Greek history. 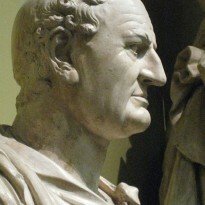 You get an idea of the contributions made to Hellenic culture by all those other city-states that dotted the Mediterranean littoral (and extending into the Black Sea), and the interactions between the Greeks and their neighbors (in a decidedly more balanced manner than e.g. Black Athena: The Afroasiatic Roots of Classical Civilization). It's also fun to read this in conjunction with Robert Grave's notes to The Greek Myths.